RAISE is a pH Adjuster that effectively increases low levels of pH to desired pH levels. 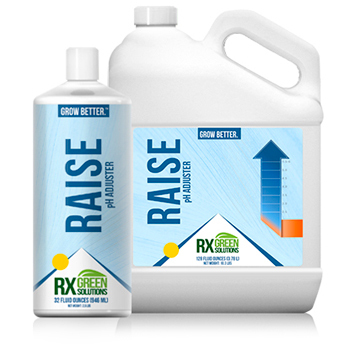 Levels outside normal pH range can result in nutrient deficiencies and slower growth rates. Recommended pH level for most plant varieties is 5.5-6.5.